Ribbit! These little frogs are in need of some color. 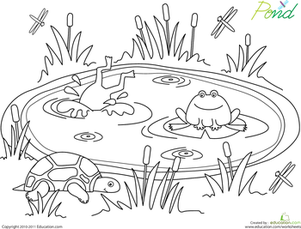 Preschoolers are sure to love coloring this pond life coloring page that's full of happy frogs, flitting dragonflies, and one cheerful turtle. 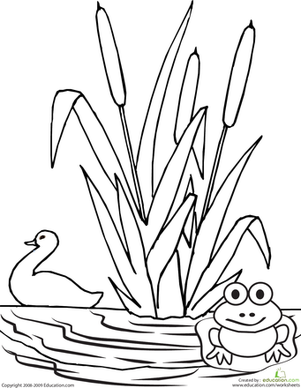 This simple coloring page features a pond scene, complete with duck and frog. This coloring page of swans at the pond will be fun for children who love animals, especially birds! Find your inner zen with this koi pond coloring page! Add some bright and beautiful colors to the water lily and the koi fish. This angels coloring page will help bring the Christmas season to life. This deer coloring page is a great opportunity to introduce your child to life science concepts. 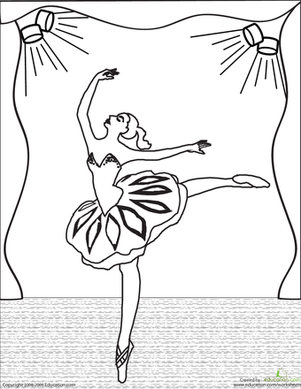 Help your child learn the importance of patience and waiting your turn with this coloring page on life lessons. Your child can color this parakeet coloring page and bring this bird to life! This gazelle coloring page features a pair of happy and playful gazelles. Use color to add even more life to this scene. 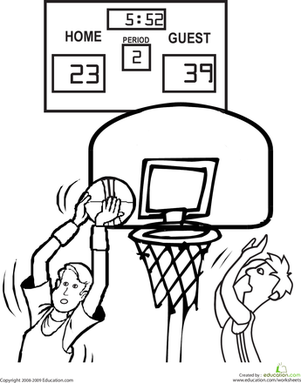 This basketball coloring page features a basketball player attempting to make a basket. Add color to help bring this exciting scene to life!